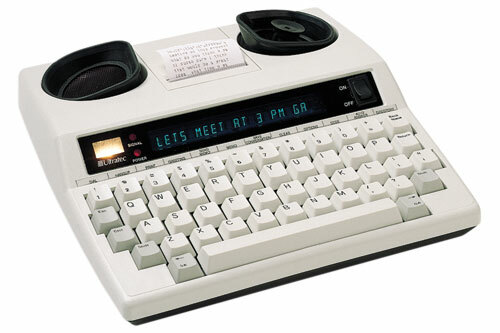 Ultratec TTY’s let you communicate over the telephone via typed conversations. The Superprint 4425 is full-featured and has a bright, easy-to-read 20 character display. A ring flasher alerts you to incoming calls. Pre-program a message into the auto-answer function and record messages when you are away. The large memory saves conversation, saves and sends memos, stores phone numbers and more.